TeuxDeux is a free online diary with a simple and intuitive design. Try it out. There’s also an iphone app to take on the road. Great for anyone (like me) who’s organizationally-challenged. Fluid reasoning (or ‘fluid intelligence’) is the ability to apply knowledge to new situations; as opposed to ‘rote memory’, which is simply repeating the same memorised steps over and over. A deficit in fluid intelligence is one symptom of an autism spectrum disorder like Aspergers or NLD. Researchers have found that a simple computer game called ‘n-back‘ can help improve fluid intelligence, as this Wired article explains (but so far, they’ve only tested it on non-autistic subjects). A free version of the game can be downloaded here (the usual disclaimer: though I’ve downloaded and used it myself, I make no claims as to the fitness of this software for any purpose, or that it won’t damage your computer, cause it to melt, disappear into thin air or eat your lunch when you’re not looking). 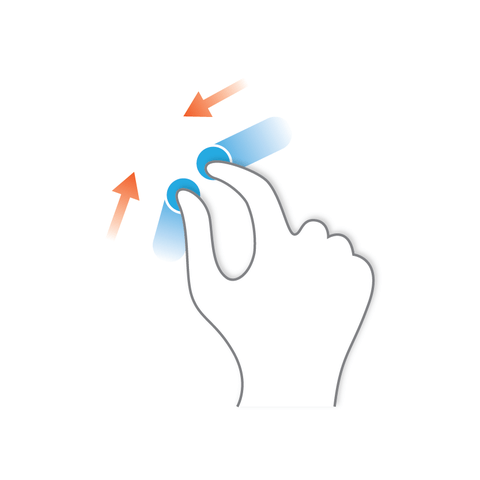 Versions of the game are also available for mobile devices, search ‘n-back’ for more details. Living with a disability can lead to a cycle of negative thinking, in which we constantly repeat discouraging mantras like “I’m useless”, or “It’s hopeless”, etc. This cycle of negativity is a mental habit, something the brain does automatically if you let it (like biting your nails). The cycle is self-reinforcing, it may get worse if you don’t actively counter it. Pushing the mental STOP! button when you have a negative thought is the least you can do to try and slow the cycle. In my own case, I add a little extra reinforcement by pinching myself hard whenever I have a negative thought. The pain goes straight to my subconscious, hopefully acting as a disincentive to even think a negative thought. Good old-fashioned Pavlovian conditioning. Stress is the constant companion of anyone on the autistic spectrum, and can aggravate the symptoms of an already challenging condition. Autistics often have trouble sleeping, and may feel agitated while awake. 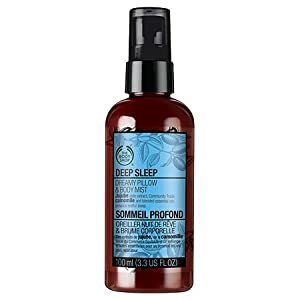 I’ve been using Body Shop’s Deep Sleep Dreamy Pillow & Body Mist, to help with sleep, and during the day to keep me calm. Just spray on the pillow for a soothing night-time aromatherapy session. I carry a small bottle of it during the day, to spray on a handkerchief and sniff if I’m feeling stressed. The smell is citrus with a touch of woodsy, from ingredients that include lemon, jujube and camomile. It doesn’t make me drowsy, but clears the mind and promotes relaxation, which seems to help me with both stress and clumsiness! Deep pressure (something like a hug) can relieve the stress of sensory overload for many autistics, by releasing calming hormones in the brain. The Squease Vest is a handy inflatable garment that can be worn comfortably and inflated when necessary, to provide just the right amount of pressure to the torso when required. Fashioning Change is a unique website that allows users to trade their brand-name fashion choices for more socially-conscious (but less well-known) alternatives. The site runs on the Picture Exchange Communication System (PECS) used to train autistic children. Fashioning Change is the brainchild of Adriana Herrera, a former behaviorial therapist. Basically, users select pictures of their favourite designer fashion items and the site then offers similar but more ethically-conscious products. Why not try it out?